One of the biggest challenges in the court system today is the increasing number of self-represented litigants. People are empowered to solve their own problems, but often, they need a little help.This is where we come in. You’ve come to the right place. We offer legal document preparation services at affordable prices. The general consumer is not always given a fair shake in our justice system. Attorney’s fees are costly and the average individual on the street’s issues often go unresolved because they can’t afford a lawyer. At South Florida Legal Doc Prep Services, LLC, we pride ourselves in providing an affordable way for you to state your case or to file your claim, or even just help you to create your own contract or legal forms. We also give extensive guidance and we are only a single e-mail message away. Contact us today for a free evaluation so that we can assess your needs. Our approach to legal services is backed up with over 25 years of experience working in both small and large law firms. Free legal advice can be found online without even looking very hard. This is not what I do. My advice is backed up with years of experience in legal terminology, general law, and legal proceedings. What does this mean? In the United States, it means that anyone can represent himself in court. “Proceeding Pro Se” means that you bring your case before the court on your own. More and more people do this these days to save on attorneys fees, or also because they believe they can handle their case themselves. We, here at South Florida Legal Doc Prep Services, LLC believe that it is your right to have access to our legal system, regardless of your income, status or education. We want to educate consumers on their rights and help them follow the correct procedures. We are focused on providing legal document preparation services to the highest standards and customer satisfaction. To be an effective Pro Se’ litigant you must be proactive, organized, strategic, and knowledgeable. We can help you. 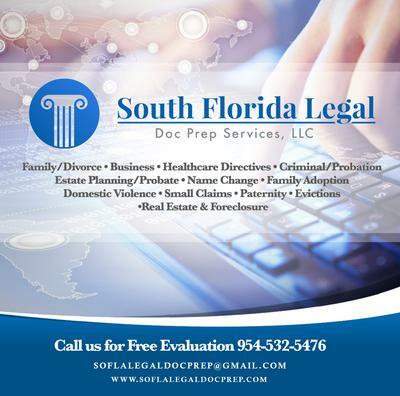 South Florida Legal Doc Prep Services, LLC assists self-represented individuals in preparing their personalized legal documents. We are professional, efficient and helpful. Our legal services are affordable for the layperson and we pride ourselves on walking the extra mile with our clients. We pride ourselves on our 5-star reviews and strive to earn one from each client. 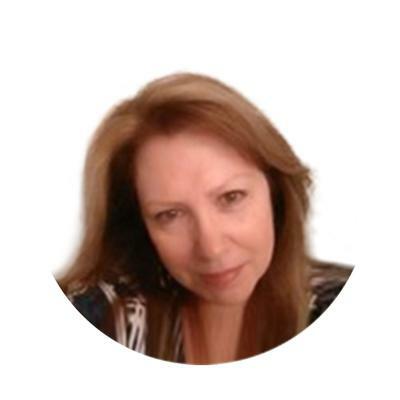 "Deana and her firm are efficient, thorough, and wonderful to work with. I'll be back!"